It's being reported that one of John Lennon‘s teeth is going under the hammer on November 5th in Stockport, England. The tooth is expected to fetch as much as $16,000 during Omega Auction’s Vinyl, Music & Film Memorabilia sale. The story goes that the tooth was gifted by the the late Beatles star to his then housekeeper Dot Jarlett; when she was working for him at his Kenwood mansion in Surrey, England, in the late ’60s. Omega Auctions’s Karen Fairweather says the Lennon tooth, which comes with an affidavit verifying its authenticity signed by Dot Jarlett. Karen Fairweather also says, "This is the most wonderful and weird item that we have ever had for sale. It is a truly unique item and it is really difficult to put a value on it. We are expecting it to achieve at least £10,000 but it is not unknown for items as rare as this to reach six figures." WOODSTOCK, N.Y.- Legendary behind-the-scenes photographer Barry Feinstein, who also shot iconic album covers for Bob Dylan and George Harrison, has died in upstate New York. He was 80. Over the last few years, Time Life has issued a number of different DVD sets featuring highlights from the Rock and Roll Hall of Fame induction ceremonies ranging from a 10-disc set to smaller, themed packages; however, they've never released the performances on CD or in the digital marketplace. 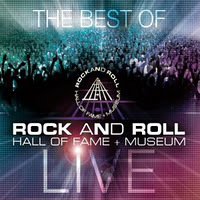 On November 1, the label will release The Best of Rock & Roll Hall of Fame + Museum Live, a three-CD set that includes highlights from throughout the years including performances by Bruce Springsteen (6! ), the Who, the Kinks, Cream, the Allman Brothers, Eric Clapton and many, many more. A new study claims to have found that young people at risk of depression are more likely to listen habitually and repetitively to heavy metal music. Dr. Katrina McFerran, a researcher at University Of Melbourne — which consistently ranks among the best universities in Australia and the world, especially in the biological and health sciences — is immersed in a new study that aims to find out why some young people use heavy metal music in a negative way. By conducting in-depth interviews with 50 young people aged between 13 and 18, along with a national survey of 1000 young people, McFerran is looking to develop an early intervention model that can be integrated into schools to impact positively before behavioral problems occur. LOS ANGELES, Oct. 19, 2011 /PRNewswire/ -- This year marks the 10 year anniversary of O Brother, Where Art Thou?, the landmark film and soundtrack that sparked a cultural phenomenon. To this day it still has a significant influence and impact on modern pop as evident in some of today's top acts, from Neo-traditional Americana bands from The Secret Sisters, The Civil Wars and Carolina Chocolate Drops to alternative mainstays Mumford & Sons, and Fleet Foxes. For the first time since their notable O Brother, Where Art Thou? appearance, the fictional Soggy Bottom Boys reunite with original cast member Tim Blake Nelson joined by the scene stealing yodeler Pat Enright (guitar), Alan O'Bryant (banjo), and Mike Compton (mandolin), all from the Grammy® Award-winning Nashville Bluegrass Band, for a video shoot at the Tennessee State Prison for the song "In The Jailhouse Now" from the original motion picture soundtrack. Director Stephen Shepherd, who has worked with numerous artists including country star Gary Allan, was called in to direct the video making its world premiere October 19th on AOL. Produced by 12-time GRAMMY® Award- and Academy Award-winner T Bone Burnett, the original O Brother, Where Art Thou? soundtrack from the 2000 film—written, directed and produced by the Coen Brothers and starring George Clooney, Tim Blake Nelson and John Turturro—shot to No.1 on the Billboard Top 200 and Country charts and became a bona fide music phenomenon. Along with ALBUM OF THE YEAR honors, the album won GRAMMYs® for "I Am A Man Of Constant Sorrow" performed by Dan Tyminski, Harley Allen and Pat Enright, and "O Death" by the legendary Dr. Ralph Stanley. Earlier this year, UMe celebrated the 10th Anniversary with an expanded two-CD set, O Brother, Where Art Thou? – Deluxe Edition, with legendary original producer T Bone Burnett personally involved in all aspects of this release. The album that rocketed bluegrass, roots and even Americana music from the 20th Century into the new millennium features a 14-track bonus disc. Twelve of these newly-released songs were recorded during original sessions for the film, most of which went unheard on-screen. This release marks the first time these tracks have been made available in any format. The second disc of the O Brother, Where Art Thou? – Deluxe Edition features artists who appeared on the original album (John Hartford, Norman Blake, the Fairfield Four, the Cox Family and the Peasall Sisters) plus some who did not (Colin Linden, Alan O'Bryant, Ed Lewis and Van Dyke Parks). The disc's previously recorded tracks are "Tom Devil" by Ed Lewis and the Prisoners, and "I'll Fly Away" by the Kossoy Sisters. An alternative version of "In the Jailhouse Now", sung by the late Harley Allen, with Pat Enright's signature yodel, is also on the bonus disc. In 1955, Elvis Presley, Bill Haley, The Four Lads and Pat Boone appear together in concert at the Brooklyn High School auditorium in Cleveland, Ohio. Also in 1955, "Day-O" was recorded by Harry Belafonte. It reached #5 in the US in early 1957 and later became Belafonte's signature song. The Elvis Presley film "G.I. Blues" premiered in 1960. 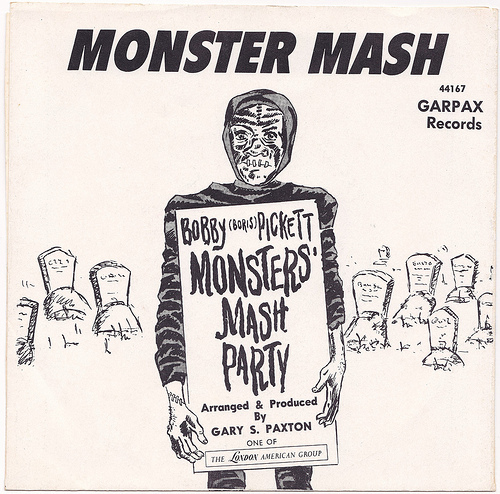 In 1962, Bobby “Boris” Pickett and the Crypt Kickers started a two-week run at #1 on the US singles chart with “Monster Mash.” It became a #3 hit in the UK 11 years later in 1973. The song had been banned by the BBC in the UK, deemed offensive. 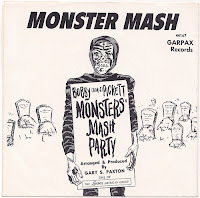 This novelty song, which was recorded in less than two hours, has now become an annual favorite. In 1964, the Rolling Stones played their first live show in France at the Paris Olympia. The show ended in a riot. 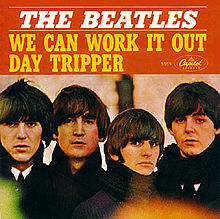 We Can Work it Out was released by the Beatles in 1965. McCartney wrote the words and music to the verses and the chorus, with lyrics that "might have been personal", probably a reference to his relationship with Jane Asher. McCartney then took the song to Lennon: "I took it to John to finish it off, and we wrote the middle together. Which is nice: 'Life is very short. There's no time for fussing and fighting, my friend.' 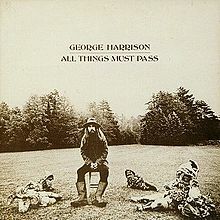 Then it was George Harrison's idea to put the middle into waltz time, like a German waltz. That came on the session, it was one of the cases of the arrangement being done on the session. The only time The Beatles played this live was on their final British tour in November/December 1965. McCartney didn't perform the song until 1991, when he played it on his 1991 MTV Unplugged appearance. On his 2002 Back In The US tour, McCartney played a solo version on his acoustic guitar. A promotional film was made to support this song. It was one of the first music videos. In 1968, after six US Top 40 hits over the past eighteen months, The Yardbirds give their final performance at Liverpool University. In 1969, the Who played the first of six nights at New York’s Filmore East performing a two-hour show featuring the songs from Tommy. In 1973, the Rolling Stones had the number one song in the US with "Angie." It made #5 in the UK. It is often reported that the song was written about David Bowie's wife at the time, the former Angela Barnett, but many reliable sources say that the song is really about Anita Pallenberg, the long-time love of Rolling Stones guitarist Keith Richards. In 1976, Led Zeppelin’s film The Song Remains the Same premiered in New York City. The charity night raised $25,000 for the Save the Children fund. In 1977, three members of Lynyrd Skynyrd, Ronnie Van Zant, Steve Gaines, his sister Cassie Gaines (one of three backing singers) and manager Dean Kilpatrick were killed in a plane crash en route from Greenville, South Carolina, to Baton Rouge, Louisiana. The remaining members, Gary Rossington, Allen Collins, Billy Powell and Leon Wilkeson were seriously injured, but all recovered. The band was finished for ten years, until the survivors invited Ronnie's younger brother Johnny to join them in a reunion concert. In 1978, the Police made their US debut at CBGB in New York. The trio had flown on low-cost tickets with Laker Airtrain from the U.K., carrying their instruments as hand luggage. In 1979, Herb Alpert, who lead his Tijuana Brass on 17 instrumental chart hits in the mid 1960s, reached number one in the US with a dance tune called "Rise". It made #13 in the UK. Next Spring, the song will win a Grammy Award for Best Pop Instrumental Performance. 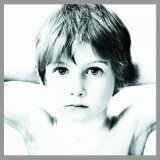 U2's first album, 'Boy' was released in 1980. In 1997, Henry "The Sunflower" Vesting (Canned Heat) was found dead in a hotel room in France. In 2000, the Vocal Group Hall of Fame held their second induction ceremony for the 1999 and 2000 classes. New members for 1999 were The Ink Spots, The Imperials, Hank Ballard & The Midnighters, The Moonglows and The Four Seasons among others. 2000 inductees were The Flamingos, Frankie Lymon & The Teenagers, Dion & The Belmonts, The Drifters and The Mama’s & The Papa’s. In 2001, an all-star lineup including David Bowie, Mick Jagger, Eric Clapton, Billy Joel, Elton John and The Who appear at The Concert For New York City at Madison Square Garden in a five hour show to benefit the victims of the 9/11 attack. In 2007, Paul Raven, bassist with post-punk band Killing Joke, died of a suspected heart attack at age 46 in Geneva, Switzerland, where he was recording. He left the band in 1987, before forming Murder Inc and joining Ministry, Prong and Mob Research.